Dene Village in Churchill is a forlorn place for the most part. There is a stone monument just off Goose Creek Road as you pull off into the vacant, silent,raised subdivision commemorating the 150 Dene people that died following their forced relocation by the government from the north country. Back then was the beginning of the end for the Dene. They were living off the land as native people did when the Canadian government decided they were in need of “civilization”. Unfortunately “civilization” was not what the Dene needed nor wanted at the time and their endless shuffling from place to place around Churchill began. 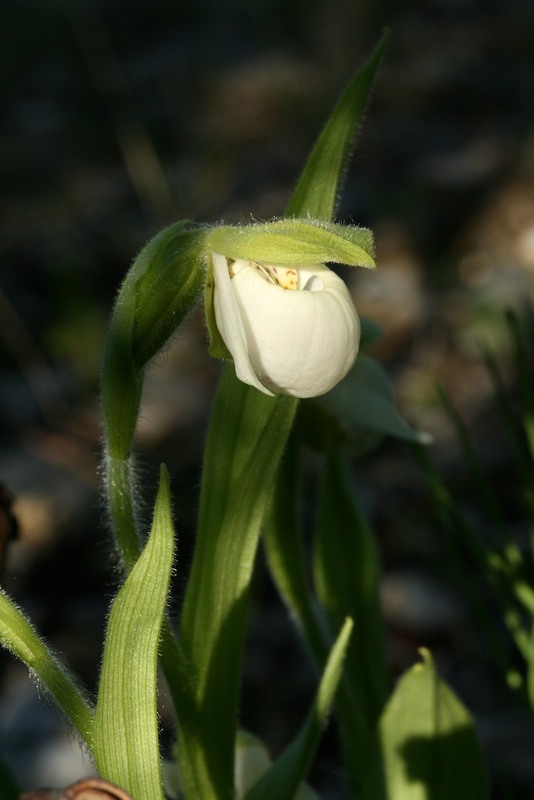 Northern Lady’s – Slipper. Courtesy goexploreit.com. The Dene relocation story will be explored in subsequent posts as this post is about what we discovered in the patch of forest adjacent to the village back in the days of guiding Churchill Arctic summer trips. Round leaved orchid. Courtesy wikidmedia.org. I don’t know how we came upon the majestic trove of incredible orchids hidden in the boreal forest just behind some of the burned or raised cottage foundations in the village but we did. With all the buildings gone as you meander through the sub-division, one goes from an erie feeling of trespassing on sacred ground to an amazing short walk through the forest with about five or six different stops to examine and photograph various orchids found in Churchill. Hodded Lady’s – Tresses. Shelly Weedmark photo. The orchids we found and returned time after time with groups to see in this sacred place were Hooded Lady’s – Tresses, Small Northern Bog Orchid, Round – leaved Orchid, Northern Lady’s – Slipper, Green Flowered Bog Orchid and Early Coralroot. When we would walk quietly through the soft grounded undercover of this particular spot I remember telling the people I felt like these beautiful orchids were the souls of the Dene people that had suffered and died in Churchill. That they were back in another form and that new reincarnated form was brought forth in these incredible flowers. That the pain the people had gone through was now somehow released and become beauty in the world. I still think of these walks we took and I feel lucky to have had these experiences. The feelings from the powerful orchids….souls of the world are still with me today.